Leaves on vascular plants and trees come in many curious sizes, shapes and textures; some even look hairy. Despite stark differences in appearance, leaves often share similarities in their leaf structure, pigmentation and normal functioning. At the cellular level, the leaf cell is a remarkably efficient food production hub. 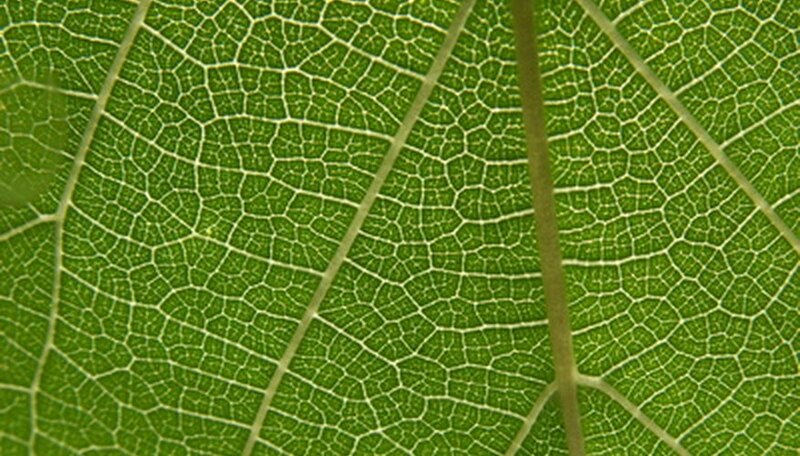 Leaf cells work together to sustain the plant and the food chain, too. Leaf cells act as an assembly line for the production of high-energy sugar molecules from carbon dioxide, water and the absorption of sun energy. A typical leaf has an outer (epidermal) layer, pores (stomata) surrounded by a pair of guard cells, middle tissue (mesophyll) where photosynthesis occurs and a vascular system that carries water and nutrients. Life on Earth depends on the process of photosynthesis, which happens inside the cells of the humble leaf. Energy-rich glucose molecules from photosynthesis feed the plant and provide a direct or indirect food source for all living things in the food chain. Leaves on a tree provide shade and suitable habitat for birds and animals. Leaves release oxygen into the atmosphere, mitigating the deleterious effects of man-made air pollutants. Like other plant cells, the leaf cell is eukaryotic. In addition to a nucleus within a membrane, a leaf cell has mitochondria, a central vacuole and sometimes chloroplasts containing cholorophyll. Cytoplasm is contained within a cell wall. Deciduous leaves are thin and flat to facilitate photosynthesis and respiration. Cells in the mesophyll layer of the leaf are protected by the epidermis, an outer layer that acts as a barrier regulating what enters and leaves the leaf structure. The epidermis that is on the upper side of the leaf produces a waxy cuticle that prevents water from escaping the plant’s leaves. For added survival, the epidermal layer may have cellular outgrowths called trichomes that look like bushy hairs, spines, stars or spikes. The purpose of trichomes is to guard the leaf against pathogens, harmful UV light and harsh environmental conditions, and to discourage hungry herbivores. The epidermis on the underside of the leaf contains stomata (pores) surrounded by a pair of guard cells that help regulate transpiration. 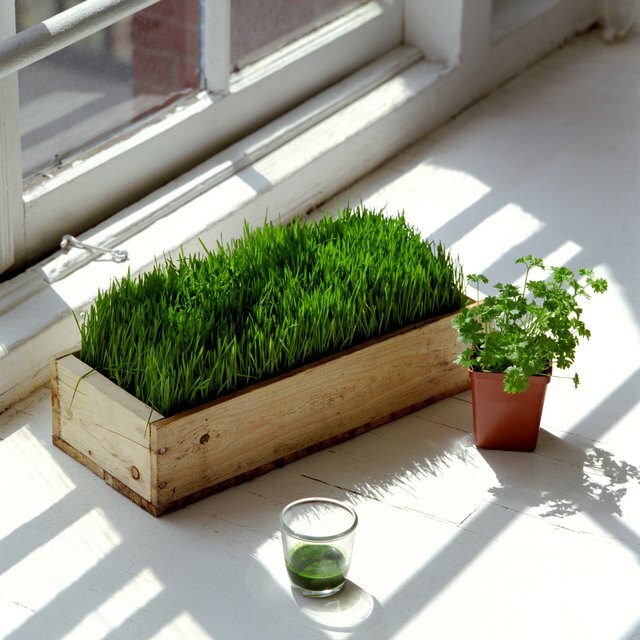 Plant pores open and close when the guard cells swell or contract in response to fluctuating ion and water concentration, light exposure and carbon dioxide levels before and after photosynthesis. Oxygen is produced as a byproduct of photosynthesis and exits through the stomata – tiny openings that allow for gas exchange. In most plants, the middle part of the leaf structure known as the mesophyll consists of two layers: the palisade parenchyma and spongy parenchyma. The palisade parenchyma layer is located just below the upper epidermal layer where sunlight is easily accessible to leaf cells. Photosynthesis occurs in the heavily pigmented chloroplasts of the leaf cell, resulting in the production of energy-packed molecules of glucose, used as sugars or stored as starch. Spongy parenchyma is made up of irregular, lobe-shaped cells directly underneath the palisade parenchyma. The cells of this leafy tissue contain fewer chloroplasts, but photosynthesis does occur in both layers of the mesophyll. Large intercellular air spaces in the spongy layer facilitate the exchange of oxygen and carbon dioxide entering and exiting the cell through the stomata. The vascular bundle contains xylem and phloem tissues. Veins in the leaf are comprised of dead, tubular xylem cells that bring water to the leaf for use in photosynthesis. Phloem moves sucrose and amino acids up and down from leaf to plant in a process called translocation. Mary, Dr.. "Leaf Cell Structure." Sciencing, https://sciencing.com/leaf-cell-structure-7503669.html. 22 March 2019.